“Untitled” by Kristof Kosmowski. Venetian plaster and oil on board, 71.5” x 71.5”, at Mitchell Contemporary. The attraction to Sun Valley for artists and art collectors as well as many respected art galleries has a long history, and this Western enclave has long been a sought-after paradise for art seekers. 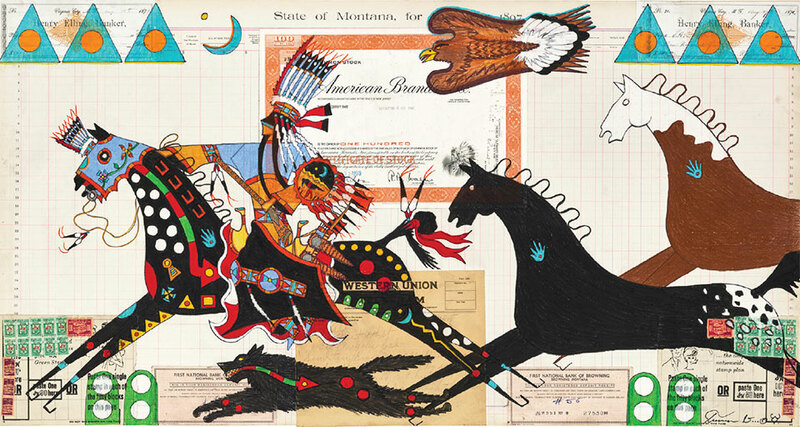 In this issue of Western Home Journal, we have uncovered exciting new art, artists, and a gallery representing what is happening in the burgeoning world of Western art in this corner of the West. 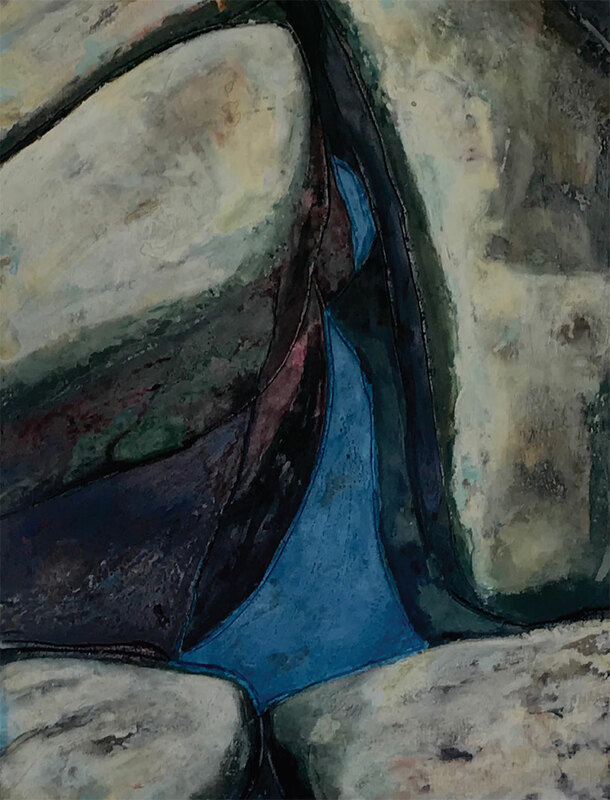 Tim Mitchell of Mitchell Contemporary has opened up a gallery in the heart of Sun Valley to present works by living contemporary artists whose modern approach to traditional methods and mediums are fresh and new. Valley-based artisan and craftsman, Jon Nasvik, presents his latest concrete artworks that evolve from his unique sense of color and design, which he discovers in his unending desire to work with concrete as decorative art. 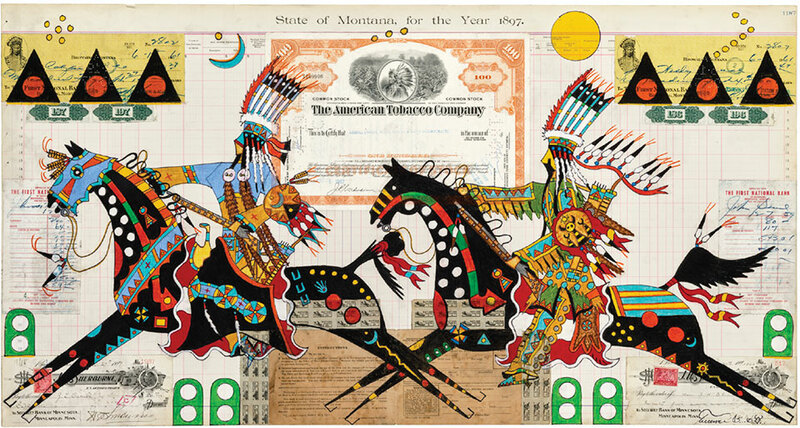 Tracing his ancestral narrative and existence in the modern world, ledger artist Terrance Guardipee offers a historic lesson in Native American culture with a look to the future. 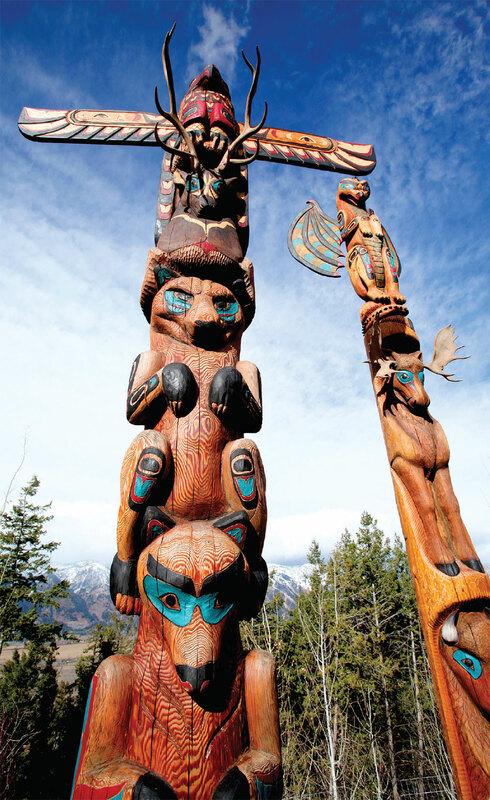 In addition, George Gulli’s craftsmanship for totem pole work connects with collectors and art lovers on a sublime and ethereal level, offering a sense of the past, present, and future. Explore Western fine art throughout this issue of Western Home Journal as another element to discovering or enhancing your dream home and surroundings in the West. “Untitled” by Kristof Kosmowski. Venetian plaster and oil on board, 48”x 48”, at Mitchell Contemporary. Mitchell presents works from Kosmowski’s “Abstract Series,” including several of his cubes. Kosmowski is a prolific painter who continuously expands his approach. His inspiration comes from his personal life experiences, but also from the modern masters Claude Monet, Gustav Klimt, Paul Cezanne, Robert Motherwell, and Gerhard Richter. Utilizing the challenging medium of Venetian plaster with inherent oil pigments gives Kosmowski’s work depth, texture, and a rich organic feel. Venetian plaster was used as far back as Roman times, but it became popular during the Renaissance 500 years ago in Venice. It is primarily composed of crushed marble and lime putty, which can be tinted to give a vast array of color. Kosmowski’s distinct color palette inflicts a rich and complex outcome. Each variation infused into the plaster is applied with dissimilar quantity and never measured. 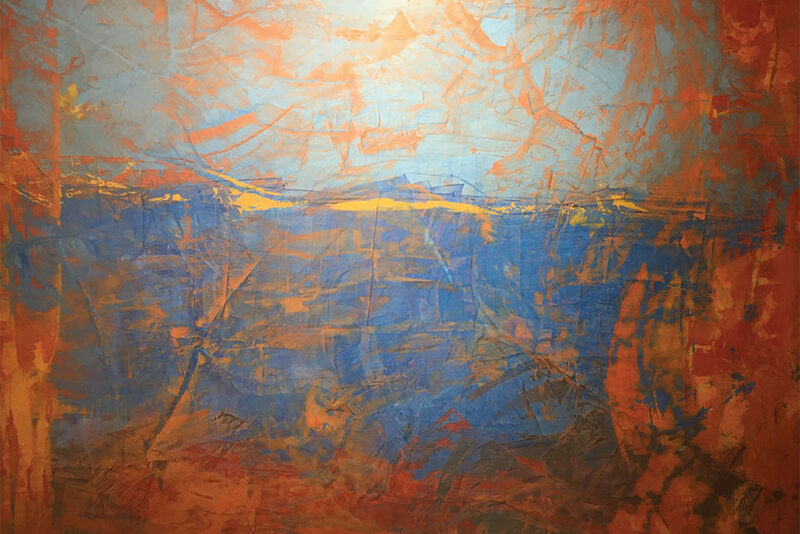 A palette knife painter, Kosmowski’s bold use of color, texture, and pastels coupled with his innate raw energy are the signature marks of this Colorado-based, international artist. “Untitled” by Kristof Kosmowski. 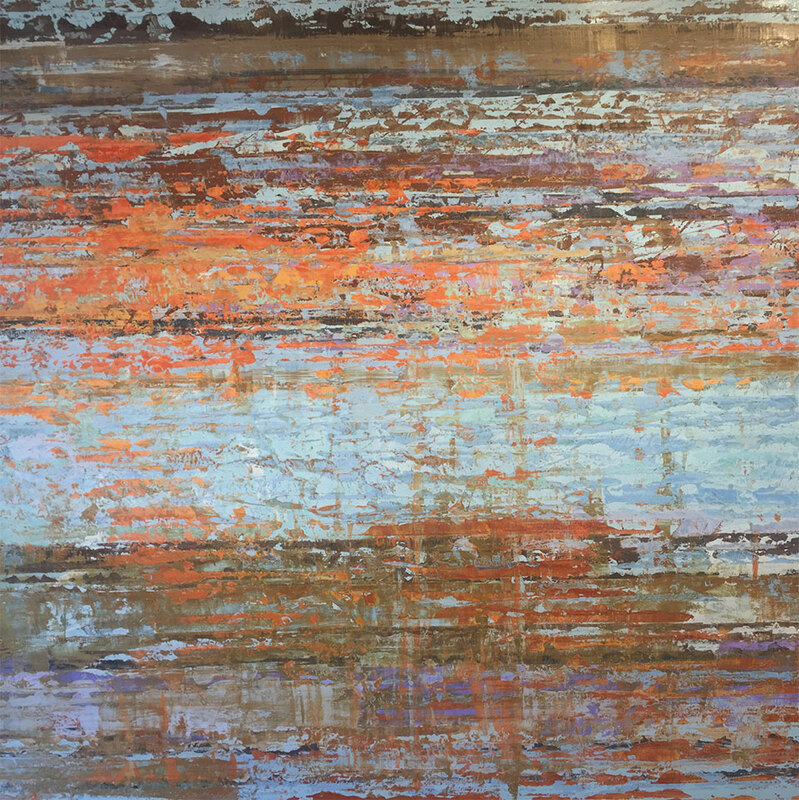 Venetian plaster and oil on board, 48”x 63”, at Mitchell Contemporary. 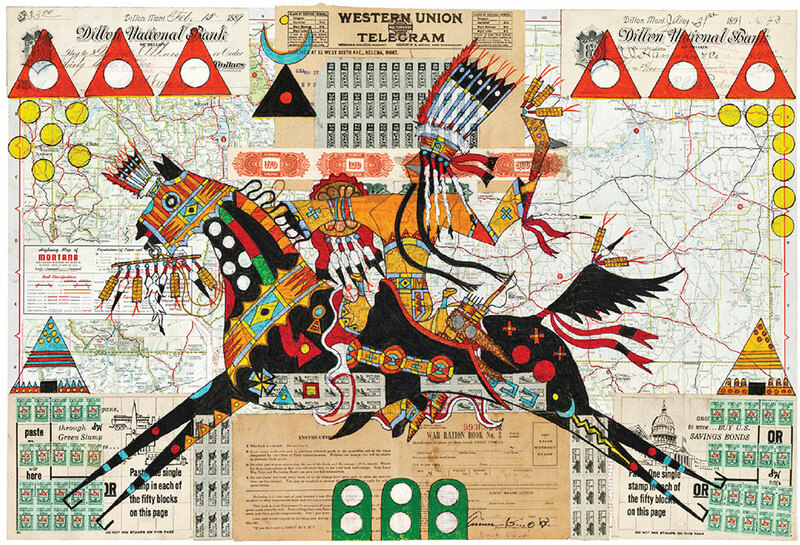 Mitchell Contemporary also presents sculpture by D’Arcy Bellamy, who is based in Boise, Idaho. Bellamy creates figures made from a pipe shaped with a plasma torch. His sculptures reflect the aesthetic of the Japanese philosophy of Wabi Sabi. Other works include sculpture by Siri Hollander, who has become a master of three-dimensional images of horses and has developed her figure sculptures, which are influenced by the emotional impression in the sculptures of modern masters. 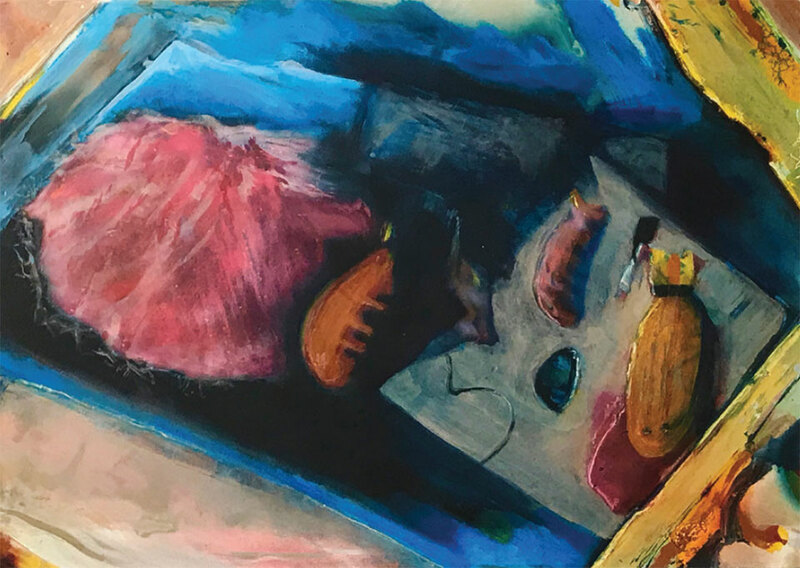 In addition, Mitchell also presents acrylic on canvas works by Ron Apgar, whose current collection consists of contemporary horse paintings, figurative works, and abstractions. Mitchell Contemporary also exhibits works by abstract impressionistic painter Diana Carey, who paints with a gestural technique similar to Jackson Pollack but in the vein of Georges Seurat. Carey throws, splatters, and drips numerous layers of acrylic house paint onto prone canvas using brushes and sticks. Mitchell is also excited about his newest addition, Malen Pierson, who is based in northern Utah. Pierson works with used objects and old equipment, which he finds on industrial sites and farms. 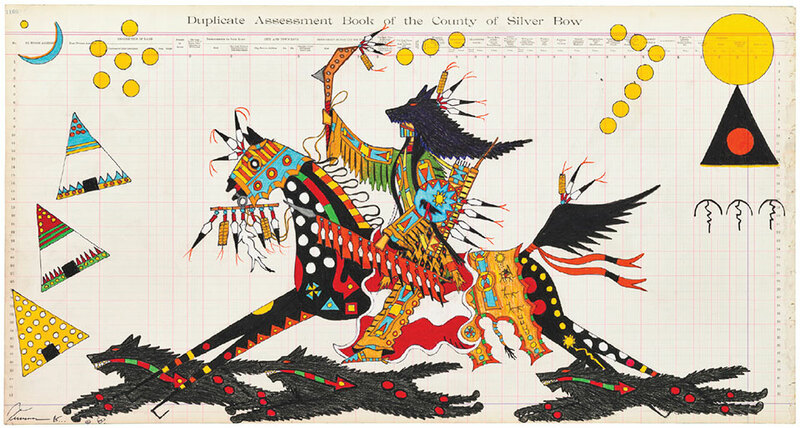 Currently, his buffalo and moose are on exhibition in front of the gallery. Whether traveling to New Zealand, sailing in Australia, diving in Thailand, or finding his way to Vancouver, Mitchell always has art on the mind, visiting his artists in every corner of the world. 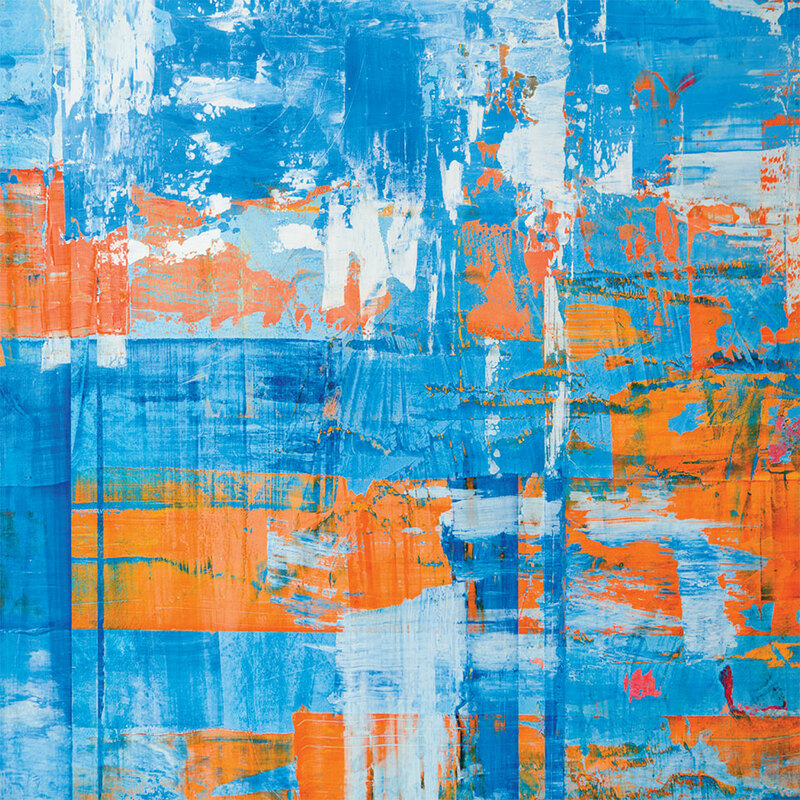 Mitchell Contemporary specializes in modern, contemporary paintings and sculpture by established and emerging international and regional artists working in a variety of media including Venetian plaster, oil on board, and acrylics on canvas. Mitchell Contemporary also presents a variety of sculpture pieces in raku, clay, bronze, iron, stainless steel, and copper. 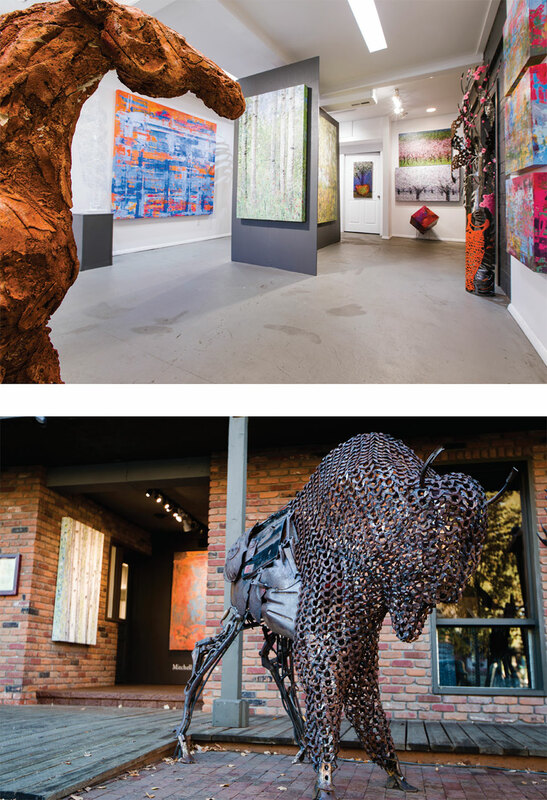 Mitchell Contemporary is located at 400 Sun Valley Road, #102, in Ketchum, Idaho. For more information, email Tim Mitchell at mitchellcontemporary@gmail.com, call 970.404.7206, or visit mitchellcontemporary.com. “Cache” by Jon Nasvik. 25½” x 34½”, concrete at Cliffhangers, Inc. 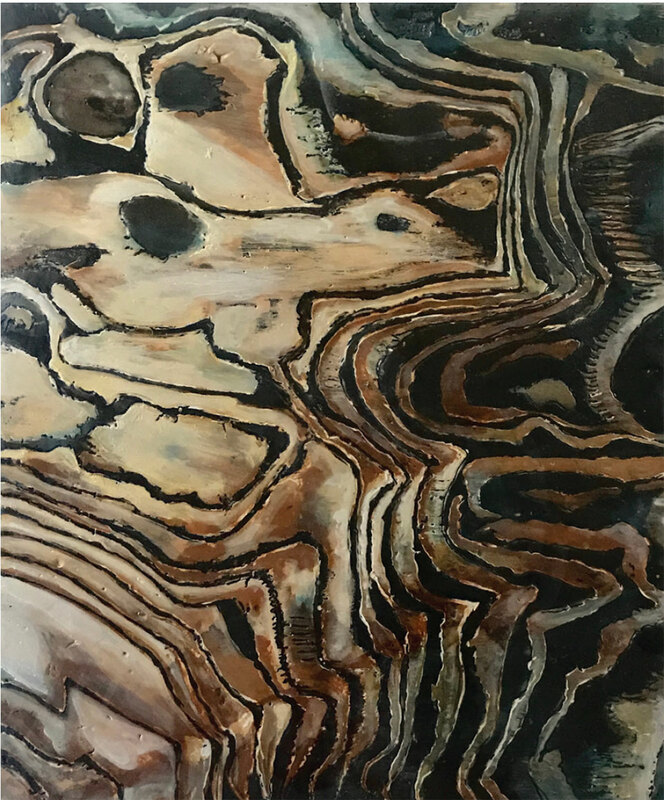 If you enjoy the contemporary appeal of concrete as part of a home’s design, you might be interested to know that this ancient building material, deriving from ground limestone rock, can also be exquisite fine art. Sun Valley-based artisan and craftsman, Jon Nasvik, who formed Cliffhangers, Inc. 27 years ago to create functional and decorative uses for concrete, has been an artist as far back as he can remember. An expert and artistic craftsman, Nasvik is in constant demand for the growing number of design-oriented people who recognize the benefits and appeal of concrete. For more than 50 years, Nasvik has been working in the decorative concrete industry creating functional, beautiful home concrete works and entities for inside and outside the home, including countertops, sinks, walls, floors, fireplaces, and water features. Recently, his use of this decorative concrete knowledge has evolved toward transitioning to studio art. 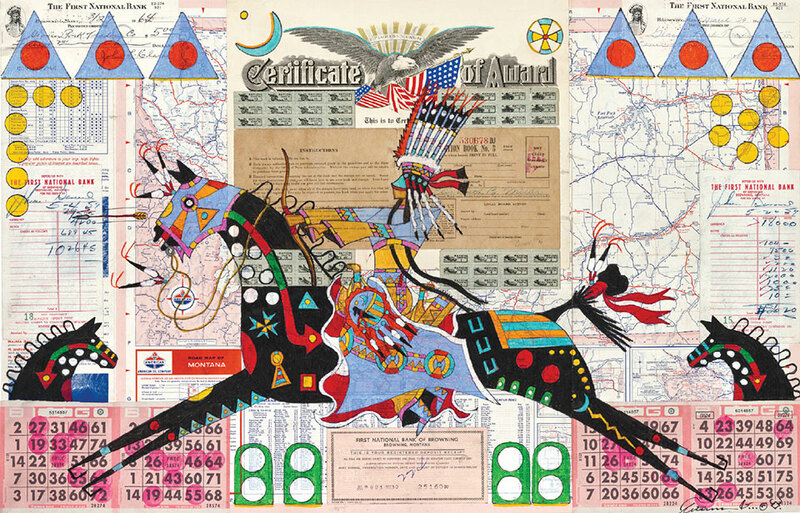 The range of possibilities that this unusual art medium has to offer is intriguing. 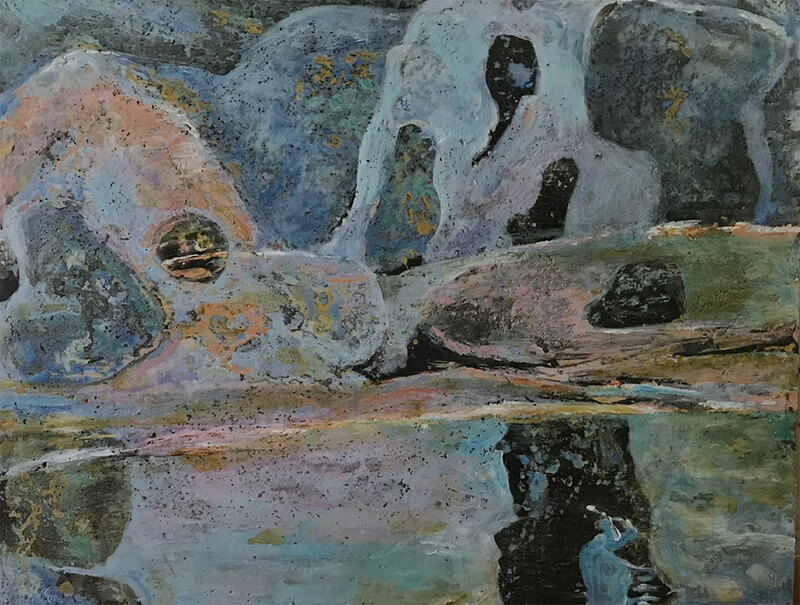 Nasvik is discovering through his imagination and abilities of working within the medium the seemingly endless possibilities concrete can offer his fine art experience. 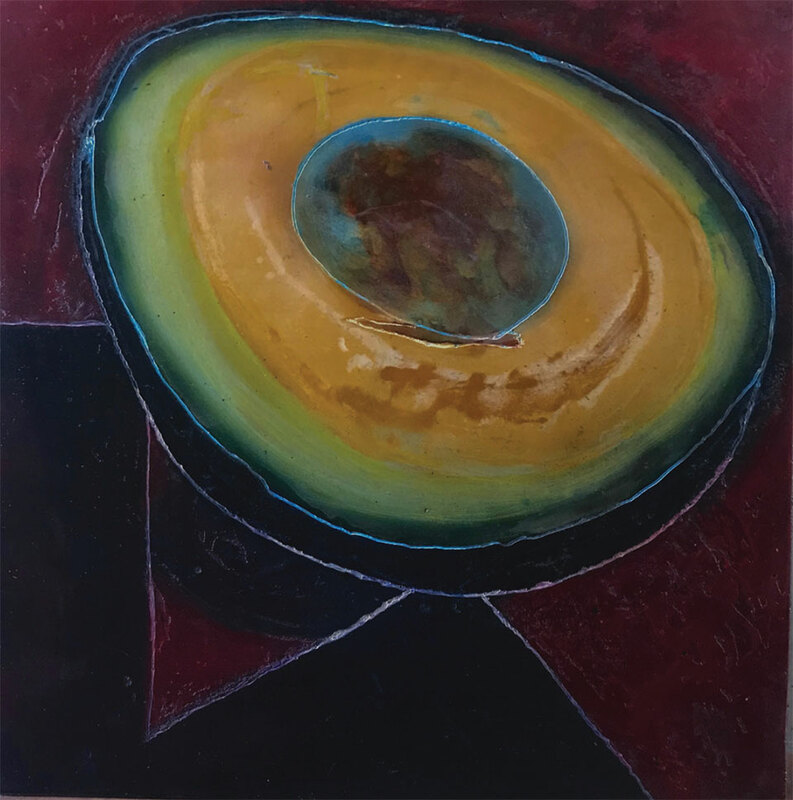 “Avocado” by Jon Nasvik. 28½” x 28½”, concrete at Cliffhangers, Inc.
“Apparition” by Jon Nasvik. 30” x 38¾”, concrete at Cliffhangers, Inc.
“Things in a Box” by Jon Nasvik. 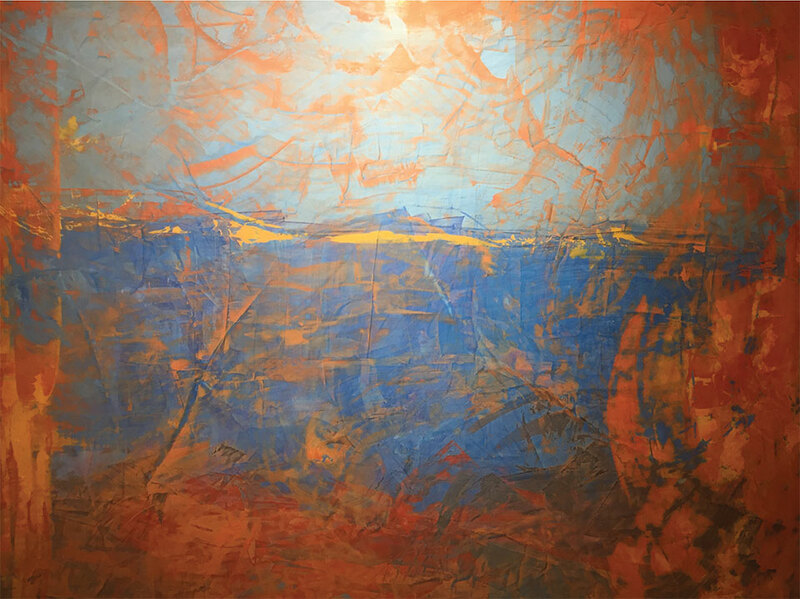 25½” x 36”, concrete at Cliffhangers, Inc.
“Emerging Light” by Jon Nasvik. 37½” x 45½”, concrete at Cliffhangers, Inc.
To learn more about Jon Nasvik’s work, call 208.720.1367 or email noj@sunvalley.net.